A Native American artifact points the way to one of the greatest legends in history! Archaeologist Dima Zafrini receives a mysterious package containing fragments of an unknown text that proves the existence of the lost Book of Noah. Pursued by a shadow organization known only as The Trident, Dima crosses paths with former Navy SEALs turned treasure hunters Dane Maddock and Bones Bonebrake. Can the three find the legendary Noah Stones before the Trident can harness their power? Join Dane and Bones on another action-packed adventure as they set off on a quest for the Ark! 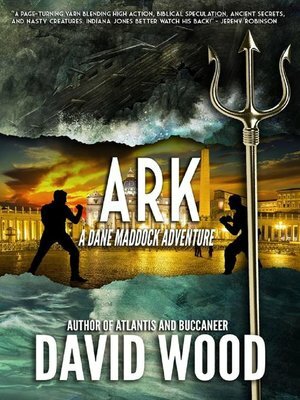 Praise for David Wood and the Dane Maddock Adventures! "Dane and Bones.... Together they're unstoppable. Rip roaring action from start to finish. Wit and humor throughout. Just one question - how soon until the next one? Because I can't wait." "What an adventure! A great read that provides lots of action, and thoughtful insight as well, into strange realms that are sometimes best left unexplored."